​CAUSE IT'S A WHACK FLAG IF YOU'RE NOT LISTENING! Post-Punk Mutant musicians is an art collaboration between Jason Walter (Modern Unicorn, No Funnies, Hand Claps) and Pizza Hell to bring Jason's comics to life. Utilizing the studio's power for voice acting prowess, we've put together a mighty team of mutant heroes to save all from death ray guns and LSDD hats with the power of post-punk rock! Join us as we venture into low-fi animation bliss and deliver an art experience dream realized. After Episode 2, it seemed that Robby and Perry were going to be pretty lonely lately. In this episode, we'll find out what happens to our newly pizza themed band, and all the other post-punk mutants too! What did Muddy say about a festival behind Piggly Wiggly in the last episode?!? 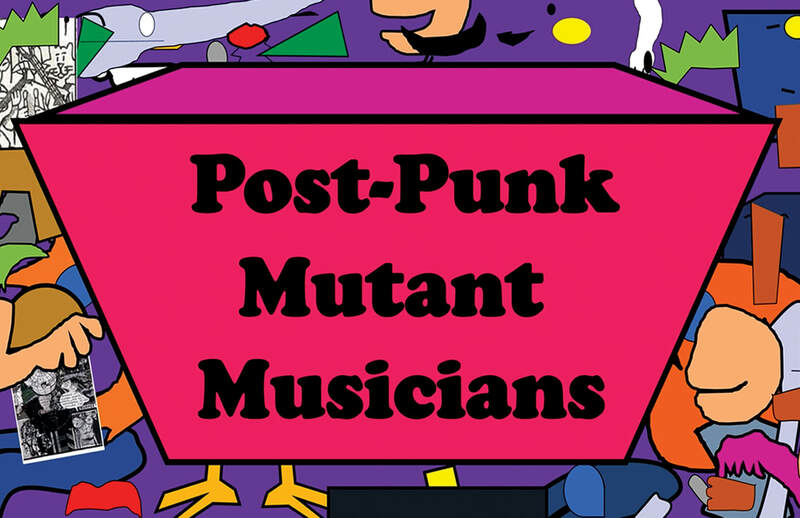 It's time once again to visit the gnarly animations of Jason Walter and enjoy his rag tag team of punks in a new episode of Post-Punk Mutant Musicians! The universe is expanding from the original episode as we see a slew of new characters hit the screen. Your favs are still here, but now we have monsters and hippies giving the punk kids some hell. We'll see the start of noise band HB#3's, Duck destroy himself and his audience, Muddy Walters gain the power of Pentatonic Jamming, and Whack Flag becoming a... PIZZA BAND!?!? Holy Cannoli this one is going to be quite a ride! This episode is all about the cliques, death ray guns, and LSDD! Witness the formation of Whack Flag, Duck the Punk & the Jerky Jerks, and so much more! It's an introduction into the world of the Mutant Musicians and we find out what makes them so dang great! Noooooooooowww GET TO IT! Features music by Gloom Cocoon and the No Funnies.